John Zapp commented on John Zapp's group Flying Musicians Association, Inc.
"Isaac makes three! In 4 short years, the FMA Solo program has soloed 6 students with 2 in the wings and we've produced 3 private pilots. http://fmasolo.org/2018/08/08/im-a-pilot-i-can-fly/"
"An FMA HangarJAM This Saturday (4/28) from 1100 to 1500. Join musicians and pilots for music, food and hangar flying at the Coastal Carolina Regional Airport (KEWN). Hosted by the Flying Musicians Association, Inc. & New Bern, North Carolina…"
"Love flying songs? We do! Member Vinny Raniolo will be having a CD release party on April 27 at the Cradle of Aviation Museum. More at https://goo.gl/Qc36mS"
"Don't wait, donate today! PayPal will add 1% to all donations received by December 31, 2017 to the Flying Musicians Association (FMA). Need a Tax deduction? Now's the time to help FMA make a difference in 2018. Visit PayPal to…"
"WOW... Look what Google has done for FMA!!! Search GOOGLE for Flying Musicians to see what pops up on the right. https://goo.gl/aUnHvS"
"When shopping online please use AmazonSmile. Amazon gives back to FMA programs and scholarships. " "Plans are coming together for AirVenture! I urge all to look at the evolving schedule that is posted online. Visit www.FlyingMusicians.org and login to view. Will make some public announcements very soon." "When you #StartWithaSmile on #PrimeDay, Amazon donates to Flying Musicians Association Inc. Shop for great deals at smile.amazon.com/ch/80-0433326"
"Meet William Knauth of Williamsport, PA. William is one of four 2017 FMA Solo scholarship recipients and has started his flight training. http://fmasolo.org/fmasolo/2017-fma-solo-winners/william-knauth/ &hellip;"
"Have you completed the FMA checklist lately? Calling all pilot/musicians to complete the FMA checklist - https://goo.gl/vphhLE"
"Who will take home this awesome GPS? (goo.gl/v52PF7 ) Four new corporate members have jumped on the FMA bandwagon - 2 Music & 2 Aviation! Help FMA raise awareness and funds for scholarship and programs. Thank you AvMap North…"
"The first international FMA Solo recipient! Thank you AOPA: your freedom to fly for sharing this awesome news while helping to raise awareness of the FMA Solo Program. courtneytaylor_fmasolo17.jpg"
"Yet more swag and support. This in from Aircraft Spruce and Specialty." "FMA Solo recipients are receiving product & swag while their blog pages are being established to document their journey. Don't miss a single post - http://fmasolo.org/fmasolo/2017-fma-solo-winners/isaac-hill/ Huge thanks…"
"Join us in welcoming our newest corporate member... Summerhays Music Center. Are you in Utah? Are you a musician? Visit one of their two locations to experience great service and value.Jump on the FMA bandwagon? Visit https://goo.gl/FuFkq0 for…"
"Just in from our good friends, corporate member, and sponsor... Bose Aviation. It's not too late for you to jump on the FMA bandwagon - https://goo.gl/FuFkq0." 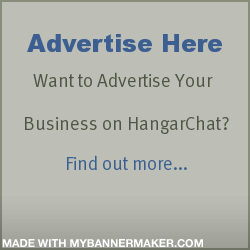 You need to be a member of hangarchat.com to add comments! John we use Hangar Chat.. It does not have the exposure of FB , however, it is a nitch group site. The folks that run it do it as a labor of love of Aviation. *** OBIE *** Florida Aviation Network.